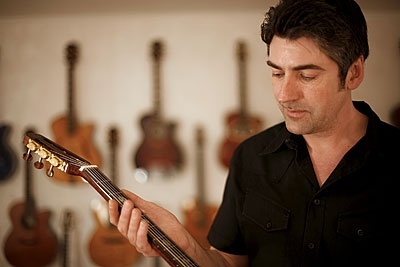 Stefan’s insatiable thirst for knowledge and understanding led him to closely study and test both the techniques of the old European masters and those of the modern instrument builders. From the very beginning, he has designed his own models and proactively pursued the exchange of information with experienced colleagues and musicians. 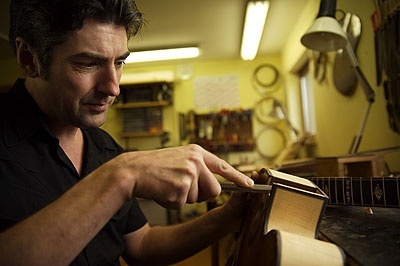 His five years of apprenticeship with prestigious guitar building companies in Germany, including Höfner, Hanika and Hopf, refined his skills and knowledge. In 1994, Stefan Hahl completed his final examination and received his diploma from the renowned Violin and Stringed Instrument Making Academy in Mittenwald, Germany, an academy whose roots go back to the master Italian instrument builders. 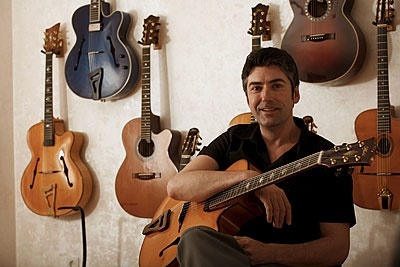 For over 20 years, Stefan Hahl has devoted his creative energy to the construction and design of quality classical, dreadnought, archtop and gipsy style guitars. The outstanding sound, beauty, workmanship and playability of his instruments have won him acclaim and esteem throughout the world.